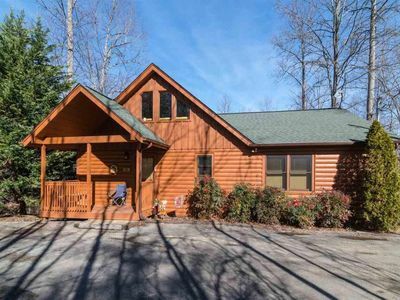 It's a rare opportunity for those who are looking for a pet friendly country living property right on the water - a pristine,babbling whitewater stream coming straight out the great smoky mountains national park! 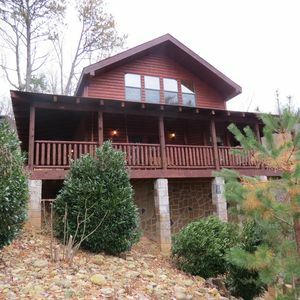 This property sits on a simi secluded knoll by itself over the creek. 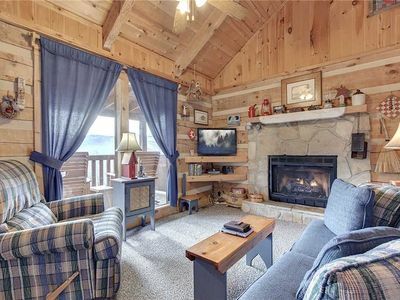 The cabin comfortably sleeps up to 4 people. 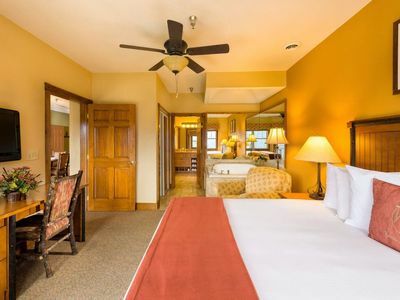 King master bedroom and 2nd queen bed. 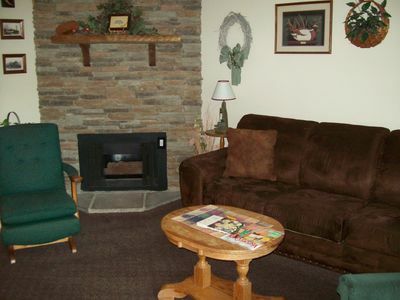 1 level of floor area and a very private deck with covered and open sections and hot tub. 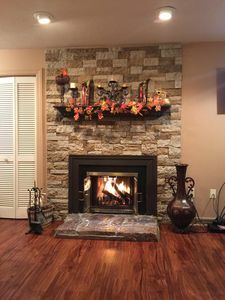 A beautiful gas burning fireplace offsets the living room. 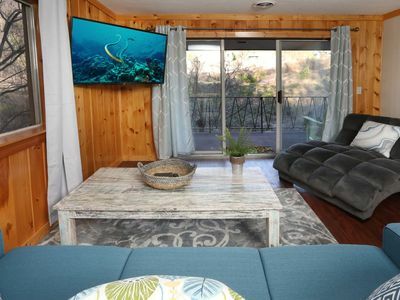 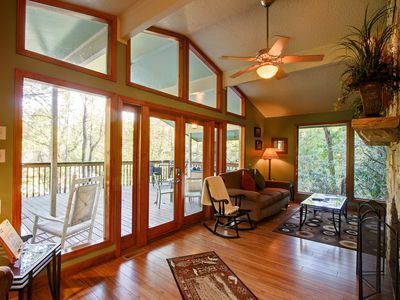 Huge windows take in the awesome mountain views, and you can hear the rushing stream from everywhere in the home! 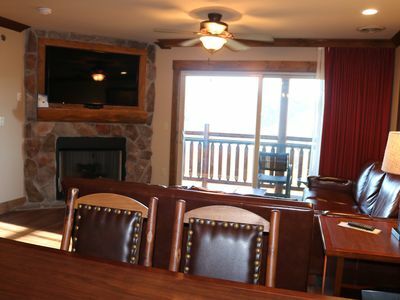 A dining table and fully equipped kitchen provide for a wonderful honeymoon, anniversary or small family gathering. 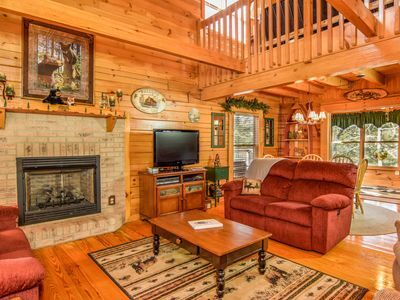 Posh Dream Cabin! 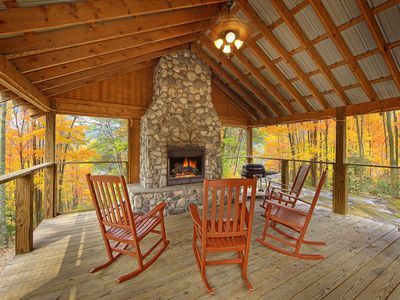 SMOKYS IN YOUR BACKYARD! 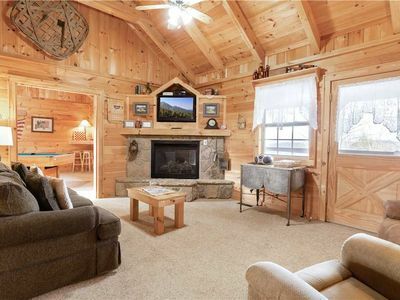 5 Mins to Town! 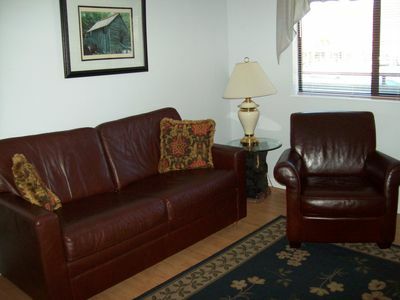 Loaded Amenities! 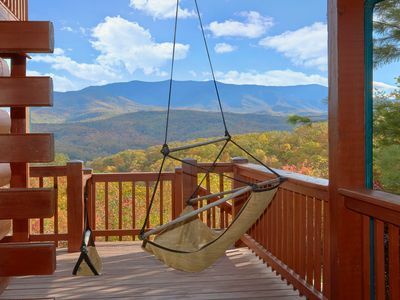 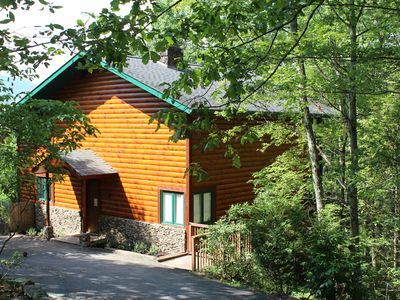 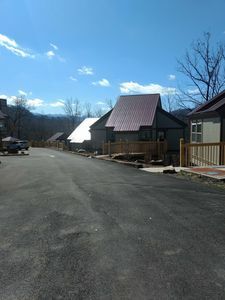 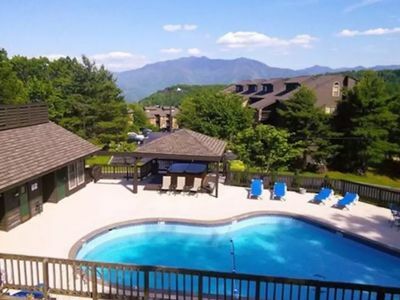 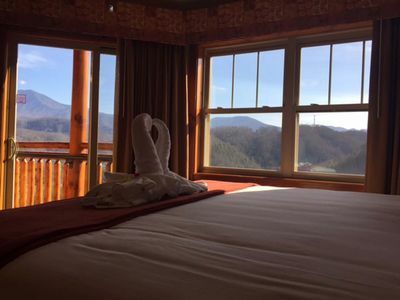 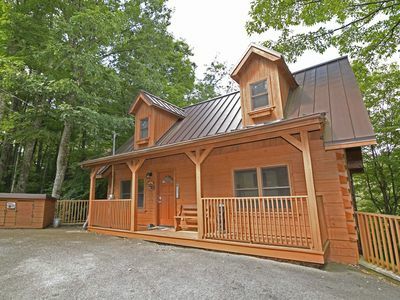 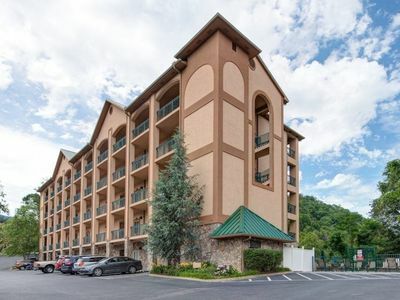 Beautiful New Tree Tops Loft Condo Minutes from Downtown Gatlinburg!